Our midnight game at TusCon with Aaron, Robert, Earl, Ian and me. I apoligise we were all sleepy but we had fun! The later it gets the goofier we get! Pre-game part two on our Patreon site. No really after all day at the Con we gamed way too late into the night. It was great! The Hero's Journey, what is it, how does it relate to western psycology, and how can you use it to create compelling stories? Proven methods of developing your characters by William Herr and Jay Smith. We had a great time at TusCon 43 and wantedto make sure we shared the great panels and events with those who couldn't be one of the 500 ticket holders. 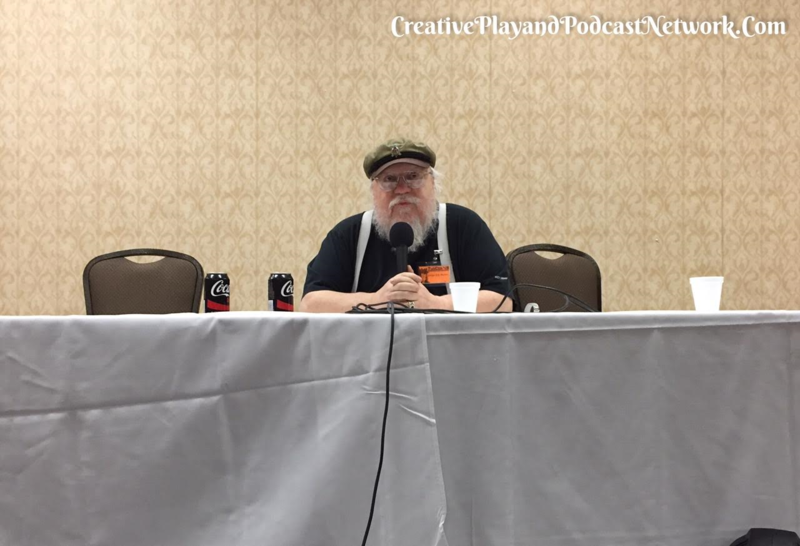 I hope you enjoy this: An Hour with George R. R. Martin!